Property giant Meriton has reduced the height of its proposed Macquarie Park development by a third to address “community concerns”. The amended proposal reduces the tallest structure on the site from 63-storeys to 42-storeys and was prompted by Mayor Jerome Laxale’s decision to call an extraordinary meeting next Tuesday to determine the matter. 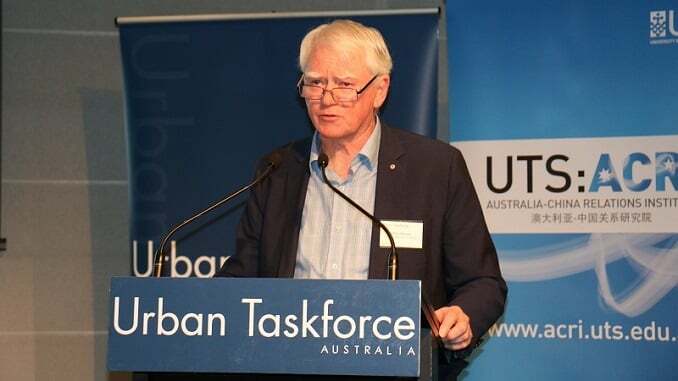 With the March 2019 state election fast approaching, Meriton’s proposal has become a political football, with the community’s ability to understand the true facts, an unfortunate casualty. Mayor Laxale, who often defends council’s staff in the face of criticism – and even councillor scrutiny – now appears to be at odds with Ryde’s head planner, Liz Coad, over the proposal. (Left) How Meriton’s development would look within existing planning controls for the site, yielding an estimated 900 dwellings; the original 60-story (later 63-storey) proposal (centre) and the amended 42-storey proposal to be considered at next Tuesday’s extraordinary meeting of Ryde Council (December 4, 2018). Both amended options, under a VPA negotiated with City of Ryde, would yield an extra 360 dwellings on the site. Ms Coad is emphatically urging approval of the amended proposal she says addresses community concerns raised during the month-long exhibition and public consultation. “Council should support the amendment to height and for the plan to proceed on that basis and be forwarded to the Greater Sydney Commission with the Voluntary Planning Agreement also endorsed by Council,” she writes in her report conclusions, adding the General Manager should be delegated responsibility to to finalise this. Importantly, the Mayor’s change of heart came before Meriton’s height alterations and it’s not known whether he’ll now abandon his opposition, a position he says he came to after reviewing draft Meriton voluntary planning agreement (VPA) documents and community feedback. Whether or not Clr Laxale decides to support the amended plan, he should at least be pleased it will probably mark the end to unofficial naming rights to the development – ‘Laxalle Towers’ – he has been saddled with for most of this year. But Ms Coad left no doubt that $35m work of benefits City of Ryde had negotiated through its VPA with Meriton were at risk if council failed to endorse the amended proposal. “Finally I have to advise that should City of Ryde Council fail to make a decision at this stage the Minister for Planning or the Greater Sydney Commission under Section 3.32 (2) of the Environmental Planning and Assessment Act can direct the Planning Secretary to intervene if the Council has failed to comply with its obligations,” she writes. The seat of Ryde’s two main contenders at the 2019 election – incumbent Liberal MP Victor Dominello and Labor candidate, Clr Laxale – are naturally determined to portray themselves as the community’s champion in the fight against overdevelopment. Mr Dominello appears to have leveraged growing anti-development sentiment in a longer term strategy for re-election, crediting himself for the recently-announced two-year freeze on new rezoning applications for residential housing in Ryde, the only council so far extended this relief. Ryde MP Victor Dominello has written to NSW Premier Gladys Berejiklian, asking that the Greater Sydney Commission “step in” regarding further high rise development. 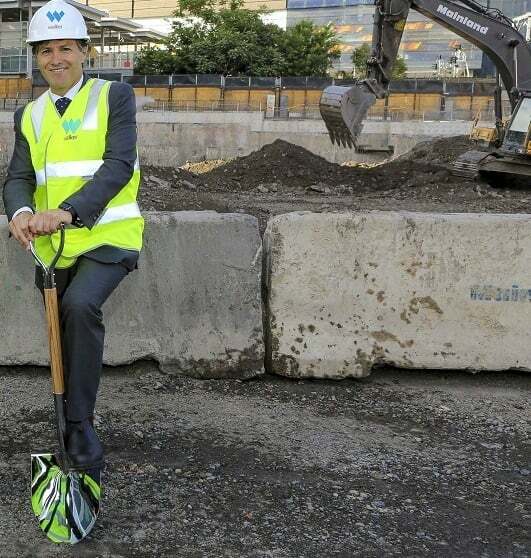 Mr Dominello – assisted by Ryde’s Liberal councillors – campaigned relentlessly against Meriton’s Macquarie Park proposal, claiming it was “ill-considered”, not supported by adequate infrastructure and likely to worsen congestion on roads in the area. Mr Dominello this week went further, targeting council staff and their involvement in VPA negotiations and publicly stating he had “lost all confidence” in Ryde Council’s ability to deal with planning proposals. “Ryde Council should never have supported this proposal in the first place,” Mr Dominello wrote in a November 23 letter to Premier Gladys Berejiklian, referring to council’s referral of the proposal to state planning officials for ‘Gateway Approval’. “It’s time for the Greater Sydney Commission to step in,” Mr Dominello demanded. 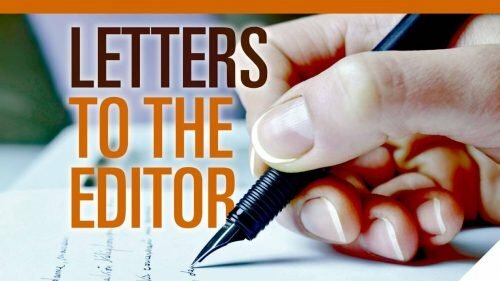 The Ryde MP wouldn’t have expected such a swift response – not from the Premier, but in publicly-available reports on Ryde Council’s website, prepared for next Tuesday’s meeting, indicating the Greater Sydney Commission (GSC) has already stepped in. Ms Coad’s report on Meriton’s proposal, detailing the various steps undertaken in a complicated, multi-stage process since its initial lodgement in May 2016, include the GSC’s stamp of approval through its delegate, the NSW Department of Planning and Environment. He openly questions the utility of the community engagement submissions received when “there are not hundreds of low rise homes around the site who may feel threatened” adding it was more likely Mr Dominello’s campaign galvanised anti-change voters. With all relevant government agencies/regulators consulted by Meriton giving the proposal a ‘tick of approval’ and a growing body of evidence confirming Macquarie Park’s significance, both strategically and as a growth centre, Mr Johnson also questions – only rhetorically of course – why local politicians would ignore it, along with many policies and precedents. “It can only be concerns about the March election that is overriding the logic of the state government’s support for the future of Macquarie Park,” he wrote.